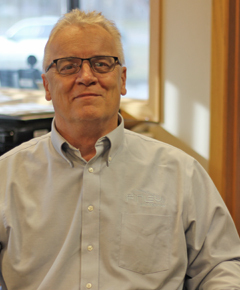 Gary Horner, Outside Plant Manager, ND, joined Finley Engineering in 1990 and his extensive experience and expertise positions him as a vital leader within the company and a sought out consultant and project manager on some of the company’s largest projects. Mr. Horner performs design work on broadband networks (copper and fiber) and oversees estimate of outside plant project costs. In his position, Mr. Horner completes unique design criteria and utilizes the best network design for a given situation. To contact Mr. Horner call our Bismarck office at 701-222-1500.